I did a fair amount of travel this past year (about 45k miles to date), and as any smart photographer should, I always take a camera with me just in case. Sometimes it never comes out of the bag, but other times there’s just nothing else to do but take pictures when faced with a long layover or delayed flights. Because of that, I did manage to nab a few decent pics over the last year that I like better than my normal stuff. One of my favorite places to take photos just happens to be here at my home airport – more specifically, in Terminal 2 West before the sunrise or after the sunset. I love night photography at SAN, perhaps because it’s what I was primarily doing 13 years ago when I was just a newcomer to this hobby. Back then (pre 9/11), it was easy to walk into the airport without a boarding pass and walk right up to the gate. Because of that, I spent a lot of late evenings trolling T2 West trying to get nice pics. It’s not so easy these days, so the only opportunities I get for this type of aviation photography happens when A). I’m traveling, B). I have time between flights, and C). I feel like taking pictures. To be honest, I don’t always feel like taking pictures. But if all three of those points align, the camera comes out! The title picture above was shot on the morning of April 19th of this year when I was on my way to Belize. Knowing that the American Airlines MD-80’s will be coming an endangered species soon, I take any and all opportunities to photograph these things when the situation presents itself. 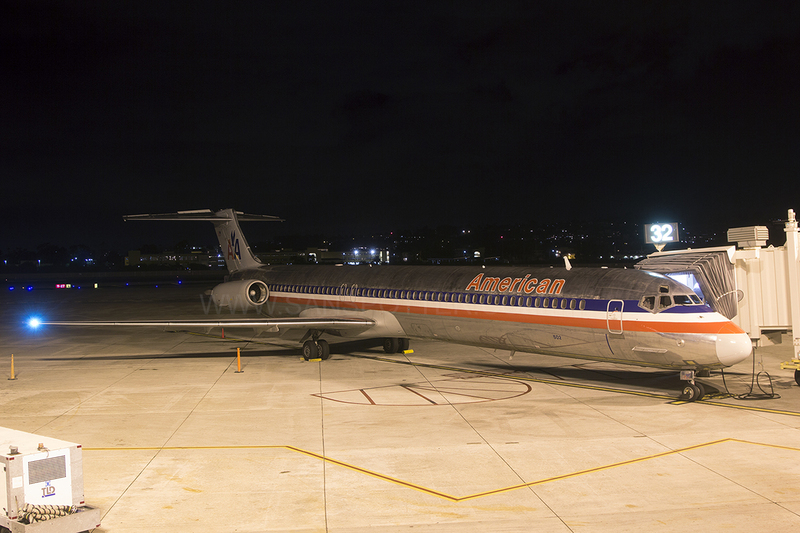 In this case, an idle MD-83 (N963TW) sitting at gate 32 was one such opportunity. As a matter of fact, this happens to be one of my favorite gates to take photos from. The windows are big, and they are away from the seating areas – so it’s not such a busy place. This time, it’s an MD-82 (N33502) shot on December 7th of this year while I was waiting for my flight to PHX on USAirways. Instead of a tight crop like the other pic, I decided to go wide-angle this time to get the entire airplane in the frame. 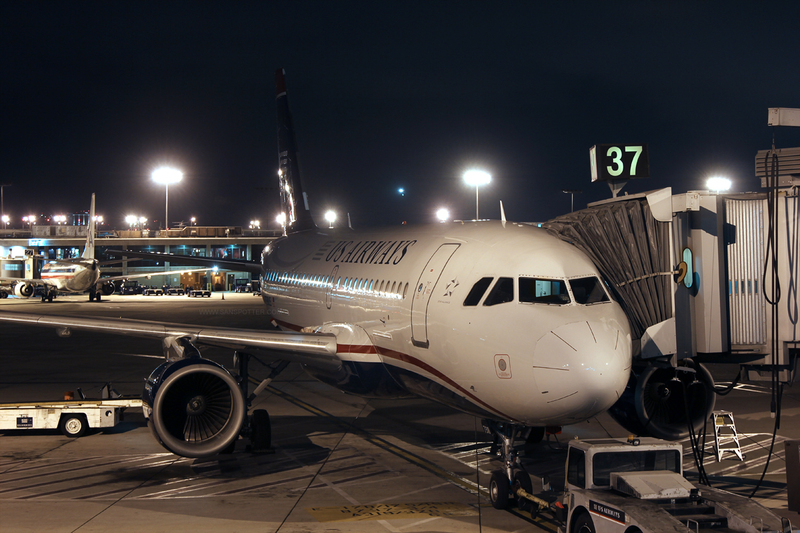 Finally, here is a USAirways A319 sitting at gate 37. I like this picture a lot, but the one thing that bugs me about it is that I couldn’t get a better side angle. I was as far left as I could get, but there was a wall preventing me from moving over any further. So yeah – less nose and more side would have been better. Oh well, I’ve got a lot more travel coming soon so I’m sure I’ll get better photo opportunities.